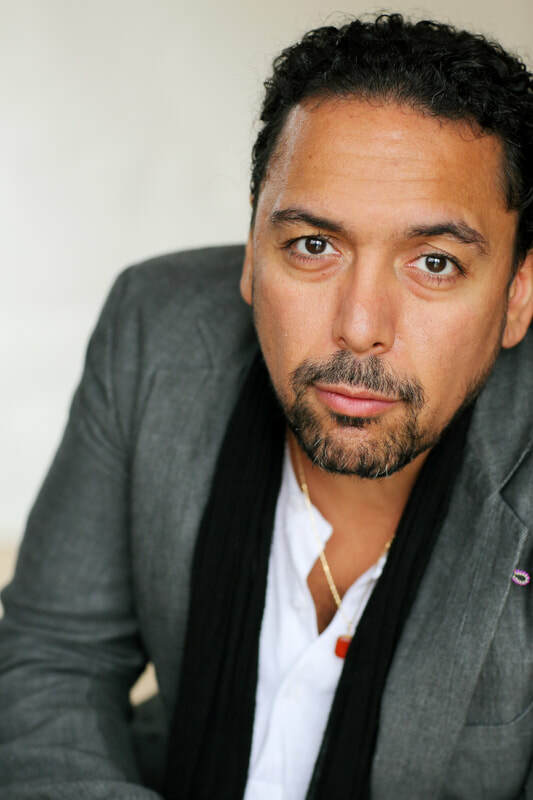 Actor Felix Solis is a recognizable face to many after spending the past two decades creating an impressive body of theatrical work in Film, Television and Theatre. Born on the Upper West Side and raised in Chelsea/Greenwich Village area of New York City, to parents that were both born in Puerto Rico, Felix considers himself a true New Yorker - or rather a Nuyorican. As the youngest of six, Felix was exposed to the theatre at a young age after his mother put him in an after school program where he spent a lot of time doing theatre games and improv. By 9 years of age, he was already a seasoned pro on stage. Intending to pursue acting into adulthood, he attended Marymount Manhattan College for a BFA in Theatre Arts but never ended up completing his degree in lieu of a real world acting experience. Felix started booking Film and Television gigs starting with shows set in NYC such as New York Undercover, NYPD Blue and Third Watch and the film Empire (starring opposite John Leguizamo and Peter Sarsgaard). Soon Hollywood started to take notice and Felix appeared in acclaimed television Shows such as The West Wing, OZ, Law & Order: SVU, The Sopranos, Law & Order: Criminal Intent, Damages and Fringe (to name only a few); and numerous films such as The Forgotten (opposite Julianne Moore), Wes Craven’s My Soul To Take, Man On A Ledge (opposite Sam Worthington and Ed Harris) and Arbitrage (opposite Tim Roth). With his roots in theatre, Felix has also continued to work on stage receiving the HOLA 2013 Award for Outstanding Performance by a Male Actor for the production of Basilica at New York’s prestigious Cherry Lane Theatre; a Connecticut Critics Circle Award in 2008 for Boleros For The Disenchanted and a Helen Hayes Award nomination for Outstanding Lead Actor in a Passion Play in 2006. He is especially proud of a letter Al Pacino wrote him to thank him for his performance in the original production of Our Lady Of 121st Street with the LAByrinth Theatre Company of which he has been a member since 1999. During his career it has always been important for Felix to remain true to his integrity, as a representative of the Latino community he has said no to many roles that he felt would put him in a position to betray his cultural ideology. Even when faced with financial hardship, he turned down roles that would set a negative light on the community and culture he comes from. Fortunately this hasn’t hurt his career; in fact in 2012 Felix hit a new high, scoring series regular roles in two CBS television series. Starting with NYC 22 where he played Sgt. Terry Howard (opposite Adam Goldberg and Leelee Sobieski) and Private Investigator River Brody in Made In Jersey (starring opposite Kyle MacLachlan and Janet Montgomery), which garnered him the 2012 HOLA Excellence in Television award. Both series ended in 2012 but he soon found regular work on Fox’s The Following playing Special Agent Jeffrey Clarke, CBS’ The Good Wife playing “No nonsense” Det. Kevin Rodriguez, USA’s Colony playing Geronimo, and ABC’s The Family playing Editor-in-Chief Gus Flores. Felix was recently cast in the series regular in ABC’s “Ten Day’s in the Valley” as Commander Gomez that premieres in October 2017. In addition to acting, Felix co-created a film production company, Subway Token Films, where their first short film, TINTO, premiered at the Tribeca Film Festival in 2014; their next short film, iHeart (which he directed), made its world premiere at the Hoboken International Film Festival; it won the Award of Merit at One-Reeler Short Film Competition, and continues its way through the festival circuit. His next short film, Going Down was shot in Los Angeles in June and is in post-production. He is an active volunteer at the 52nd Street Project, a non-profit group that matches inner-city kids with professional theatre artists to introduce them to the business and craft of theatre production. He is also a supporter of the ASPCA and WSPA. In addition to his busy schedule, he loves to travel and is an avid collector of Star Wars action figures and The Walking Dead comics, and enjoys drawing, painting and making art. He hopes to continue to work professionally as an actor while representing the Latino community and its history respectfully.